We are technology headhunters and trusted retained executive search partners. Our clients include leading venture-capital back startups, private equity-backed turnarounds, and companies that dominate the Fortune 500. We serve corporations that invent the technologies we know, love, and use every day. We also serve other kinds of companies that use those very technologies to power their growth. As a leading boutique retained search firm, The Good Search never wants to resemble a traditional retained search firm. We don’t believe in reinventing the wheel. Our clients would never want us to be the same-old-same-old, either. We believe you deserve — we all deserve — a more evolved retained search experience. Companies that have to hire in order to scale come to us. Companies that have to hire the best in order to compete come to us. Companies creating technologies and markets where none existed before come to us. They come to us with “impossible to fill” openings and for search rescue, after other search firms have hit the wall. They all come to us for smarter search. Because smarter search is consistently better search. Smarter search is how The Good Search delivers extraordinary results. We are data-driven headhunters. We are power our engagements with investigative research and actionable intelligence. We do so because we have listened to executive search buyers. 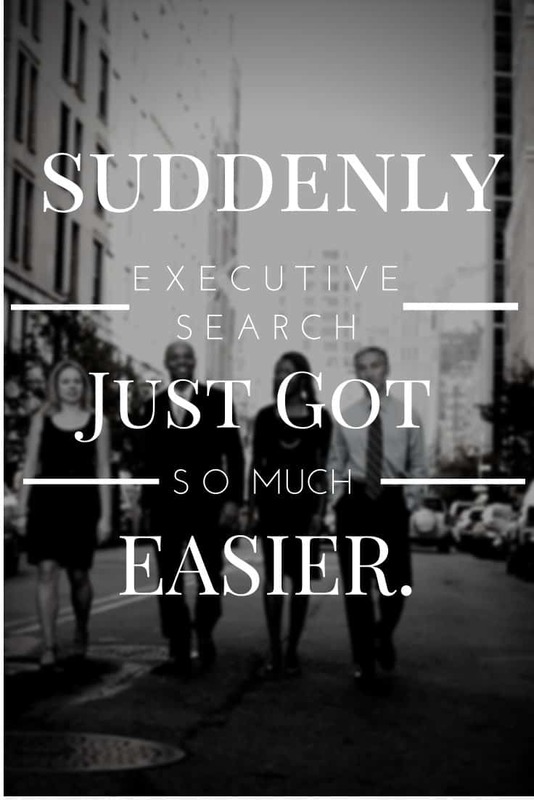 From that, we have innovated the Next-Generation of Executive Search. You’re the reason why we are counted among the top technology executive search firms in the industry. You told us exactly what you wanted, and we built it. Next-Gen Executive Search makes us one of the top technology executive search firms in the industry. Next-Gen Search eliminates many of the things executive search buyers find annoying and not-quite-right about traditional retained executive search. We’ve banished percentage-based fees and their inherent conflicts of interest. We’ve done away with the retained search firm black box that leaves clients wondering what a search firm is doing for all that money. And we’ve eliminated inexact research. We have sprinkled in features executive search buyers have longed for: Smarter search, flat-fee pricing you can trust, and unprecedented transparency. We even hand over all the candidate research, which traditional retained search firms never do. You can use this research to make additional hires at no additional cost and to audit a search firm’s work. Sharing candidate research builds trust, informs strategy, and makes for a more effective partnership. In other words, we are a retained search partner committed to giving you more because that is what we do. These are just a few of the reasons we are considered one of the top technology executive search firms in the business. The Good Search delivers candidates you never dreamed existed because we search smarter. Actionable intelligence powers each of our executive search engagements. We tap highly-placed sources and little-known databases, reaching far beyond the standard retained search firm networks to access the best and brightest technologists and luminaries. We use computer-assisted research, data analytics, and investigative research to innovate next-generation executive search methodology. That’s how The Good Search consistently delivers best-of-the-best talent others miss. That’s what’s made us one of the top technology executive search firms in the business. Our flat-fees eliminate conflicts of interest found in percentage-based retainers. Though an industry standard, search firm pricing tied to a percentage of salary creates a conflict of interest. Percentage-based fees reward consultants that inflate the compensation of the candidates that are hired. You shouldn’t have to wonder where a search firm’s loyalties lie. Moreover, percentage retainers make it impossible to know exactly what a search will cost. That is why we work by simple flat fee based on the difficulty and requirements of each search engagement. Unlike standard percentage fees, our pricing is tied directly to the work that we do. The Good Search believes in giving you more for your money. Case in point: we hand over the candidate research — something traditional retained search firms never do. In doing so, we eliminate the retained search black box that leaves clients guessing what a search firm is doing for all that money. In its place, we provide an executive search experience with unprecedented transparency and due diligence. The research facilitates greater trust and collaboration. It also serves as a comprehensive audit trail for every search engagement. You can even use the research to make additional hires at no additional cost. Why settle for less? For searches that don’t warrant an investment in retained search, our recruiting research firm Intellerati offers an easy, effective way to boost recruiting results while giving you the opportunity to save.